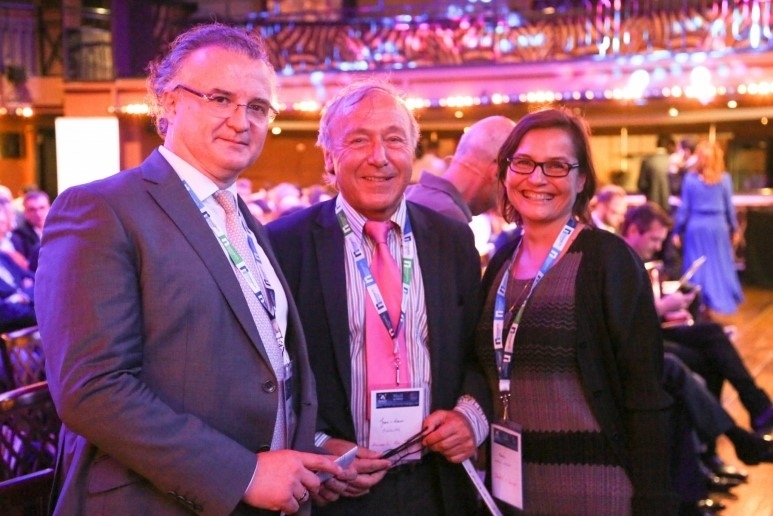 Picture: Award-winner Jean-Louis Moulins, professor at the University of Aix-Marseille, surrounded by two of the Jury members, its President Philippe Jourdan and Karine Cervoz-Goyat. The first recipient of the Research Award RFM 2016 is Professor Jean-Louis Moulins, University of Aix-Marseille, and his co-author, Dr. Tarek Abid, with their article: "A scale for the social responsibility of brands: the application for consumers of organic food brands." (Original title: « une échelle de la responsabilité sociétale des marques : application aux consommateurs de marques alimentaires biologiques »). This award was presented by Pierre-François Brézès, VP & General Manager, American Express Global Commercial Payments, France and Philippe Jourdan, head editor of the French magazine of Marketing, University Professor and founder of Promise Consulting Inc / Panel On the Web. The presentation of awards took place at the Night of Adetem (Nuit de l’Adetem), on July 5th 2016 and was held at the Pavillon Elysée, rue Marbeuf, 75008 Paris. The aim of awarding this prize in the framework of the prestigious “Night of Marketing” is primarily the following: “To create a connection between the academic approach and the expressed need of marketers to find a source of knowledge, inspiration and innovation for renewed practices", says Philippe Jourdan, chef editor of the French Journal of Marketing since 2011. It also reinforces the magazine’s FNEGE / AERES ranking among the best French journals in Management Science. Philippe Jourdan, president of the jury of this first edition, sincerely thanks the multidisciplinary jury of nine members, consisting of academics and professionals, French and Francophone (2 Swiss, 1 resident in Switzerland and one resident in San Francisco), for their adopted scientific assessment process based on the following criteria: originality of the subject, mastery of literature, rigor of the scientific and methodological approach, coherence of the argumentation and finally, the paper’s managerial contributions and its usefulness for Marketing professionals. The French Journal of Marketing aims to present the most innovative marketing techniques and practices to the academic community, to the students and to the professionals in the French speaking countries It thus pursues two major purposes: a scientific quality regarding the selection of the published articles and a selection based on relevance, interest as well as impact on all marketing professionals (teachers and practitioners) of the best articles. As first French journal in the field of education and marketing strategy, the French Journal of Marketing distributes 4 numbers per year in France, as well as in 38 countries. Pr Philippe Jourdan, CEO of Promise Consulting, is the editor-in-chief of Adetem’s journal, the French Journal of Marketing (Revue Française de Marketing, RFM), since 2011. He publishes in academic journals internationally on the problems of the valuation of the brands in luxury, beauty and selective distribution. He also publishes in the economic press and news media (such as Le Monde, les Echos, le Figaro, l’Opinion, la Revue des Marques, etc.). 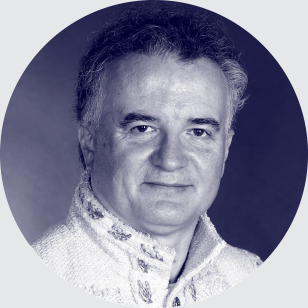 Philippe is a university professor, researcher at the IRG (CNRS) and laureate of the Best Article of Research AFM 2000. He holds a certification in social media and is member of ESOMAR. Promise Consulting is a company specialized in marketing studies and consultancy, issued from the merge of Promise Consulting Inc., JPL Consulting and Panel on the Web. Promise Consulting integrates services of market research and marketing consultancy delivered with a high added value. We created an innovative measuring methodology of a brand’s performance and its return on investments (ROI): “Monitoring Brand Assets©”. This methodology, deployed in nearly 50 countries, has surveyed 250 brands in multiple sectors, totaling over 1.5 million questionnaires. Established in Paris, New-York and Casablanca, Promise Consulting conducts studies and services of consultancy in the whole world. Promise Consulting is mostly known for its expertise in measuring a brand’s value from the clients’ perspective. Promise Consulting has developed innovative techniques and models, was awarded 7 times in 10 years, by its Peers nationally and internationally. It provides insights and recommendations to the most notorious brands in luxury, cosmetics and retailing sectors, helping them develop on national and foreign markets. It is also active in several sectors of the industry, every time the brands are looking for an effective growth strategy in order to better understand the market, to reach their customers, attract them and, finally, keep them. Promise Consulting is one of the 300 highly qualified members of the ICG (Internal Consulting Group): A network which brings experts from different areas of competencies (marketing, finance, governance, risk management, ect.) together, aiming to offer companies high-level consulting services on a transnational basis. > LUXURY LAB: dedicated to the luxury sector in the world of Fashion, Beauty and selective distribution, Luxury Lab follows nearly 250 luxury brands in over 35 countries for over 10 years. > CONSO LAB: dedicated to the sectors of FMCG, automotive, finance and retail, Consumer Lab accompanies the announcer from the concept testing to the tracking of the market performance.